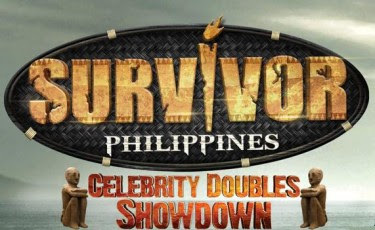 Survivor Philippines: Celebrity Doubles Showdown is the fourth (4th) season of the Philippine version of the reality television series Survivor. Richard Gutierrez repriced his hosting stint for the second time after Survivor Philippines: Celebrity Showdown. Unlike the previous season and any other celebrity seasons in the entire Survivor franchise, this installment would feature celebrities grouped as couples with preexisting relationships. Teasers of castaways' identities were partially revealed in the third week of October 2011. A week after the teasers were revealed, the identities of the celebrity castaways were then fully identified. The show was entirely shot in San Vicente, Palawan, the first time the Philippine franchise has filmed in their home country. The show premiered on GMA Network on November 14, 2011.